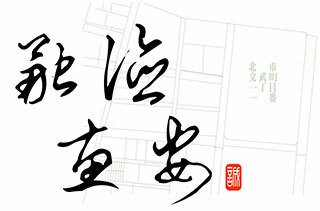 Hui An Conveyancing Office has been established for almost 30 years. It acted as agent of land affairs for many leasing companies in the early days, and now, for many banks and asset management companies. In recent years a wave of enterprise merging has arisen, resulting in rapid and dramatic changes in the banking market. In order to cope with this situation we adhere to our principle of providing professional service and continue to absorb and strengthen ourselves with professional knowledge. We have undertaken several submissions of registering merged financial industries and registrations of non-performing loan (NPL) transactions. You can trust us with related legal process. Paying taxes is a duty, but saving taxes is a right. Tax saving for individuals and enterprises is also one of our most prominent services. Professionalism and credibility are the core spirit we hold when providing our services toward every customer. Our services include Immovable Property Tax planning, Estate tax and Gift tax saving and registration of real asset transfer. For more information, please visit Services. So far there are more than ten professionals in this firm. Some of them are old agents of land affairs with several decades of experience, and some are graduates of land administration and law, who also have work experience for several years. Formed from these old and young persons, our firm constitutes a strong professional team, ready to provide service to our clients any time. Cooperating with our affiliated corporation — Long Te Asset management Corporation along the way, we integrate our specialty to form a more powerful professional team in order to provide better service toward our customers. We also keep up with the latest relating regulations and information to equip ourselves for you. Providing professional and decent service has always been our priority, however, the friendship between our customers and us is what we cherish most. During annual holidays, we always choose ingenious holiday gifts for our dear customers and fraternities; it has become a well-known tradition of Hui An. We are always ready to serve you. Please contact us at your convenience.